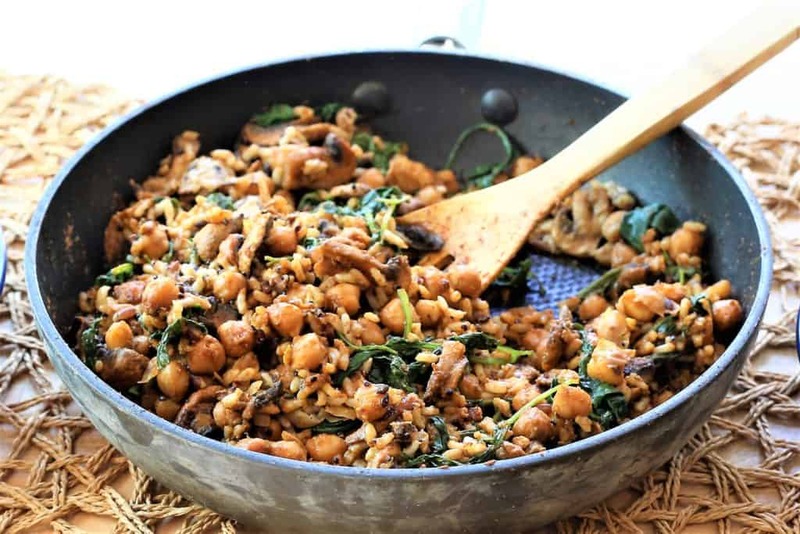 Smoked Chickpea Kale Stirfry-one pot meal that is ready in fifteen minutes. Summer is over, it is fall, back to school, we are tired, but, dinner still needs to happen. 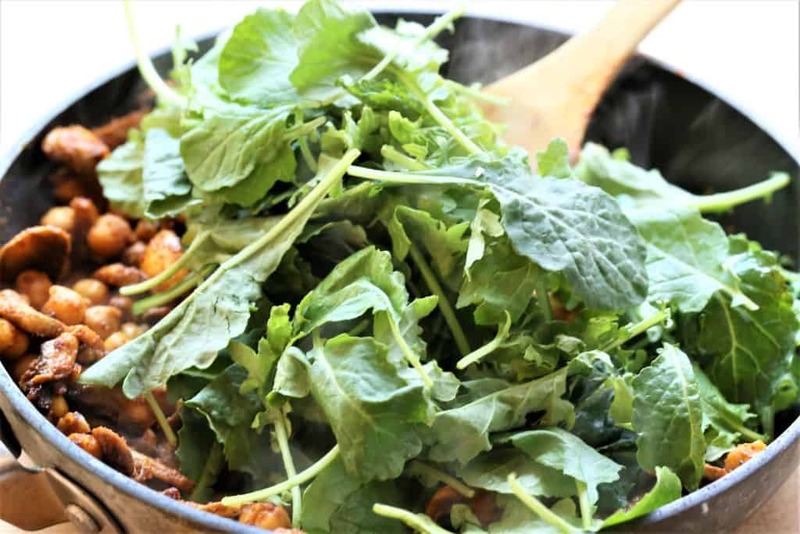 I was looking for something quick and healthy, and whipped up this Smoked Chickpea Kale Stirfry with four ingredients, in fifteen minutes. Yes, you read that right, fifteen minutes. Somehow, when it only took fifteen minutes, I expected it to be an average dinner. Not even. 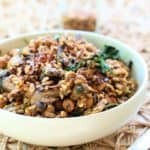 The smoked paprika and garlic combo gives this stirfry an awesome flavor and the Seeds of Change Quinoa, Brown and Red Rice also adds some spice sensation to make it a nutrition powerhouse that is filling and delicious. Vegan, gluten free and dairy free. 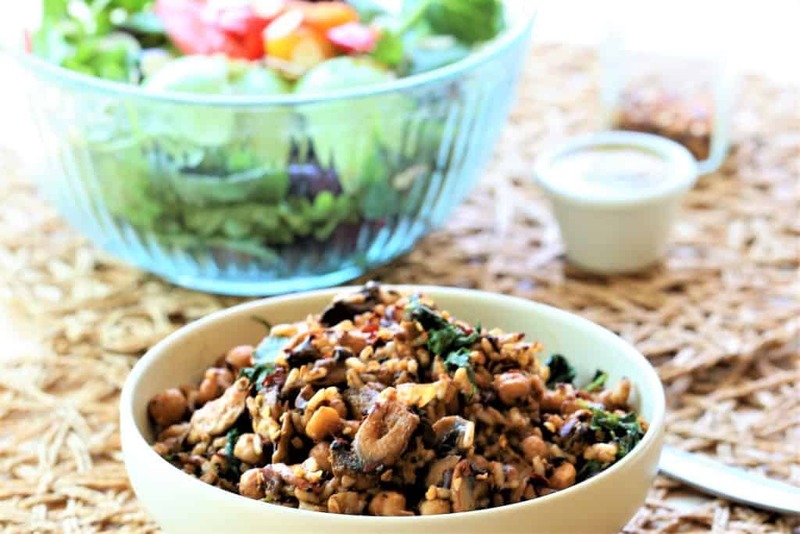 Smoked Chickpea Kale Stirfry. 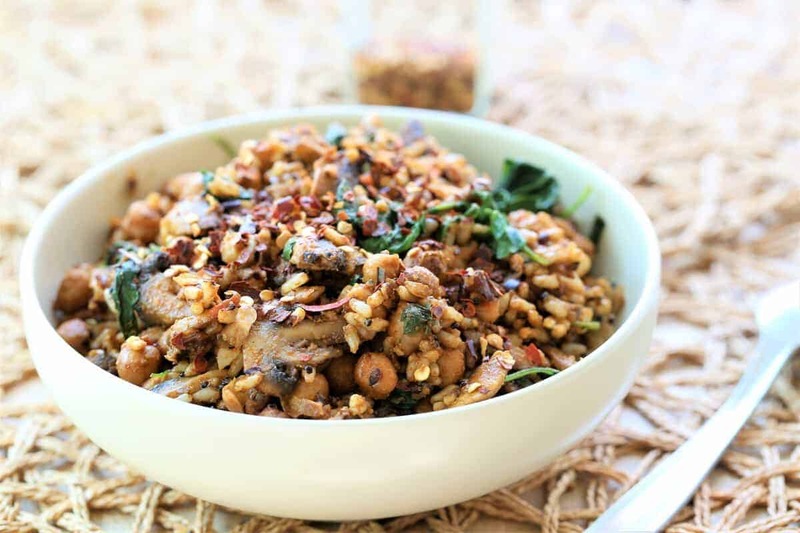 Spicy, healthy and ready in 20 minutes! Vegan, gluten free, dairy free. 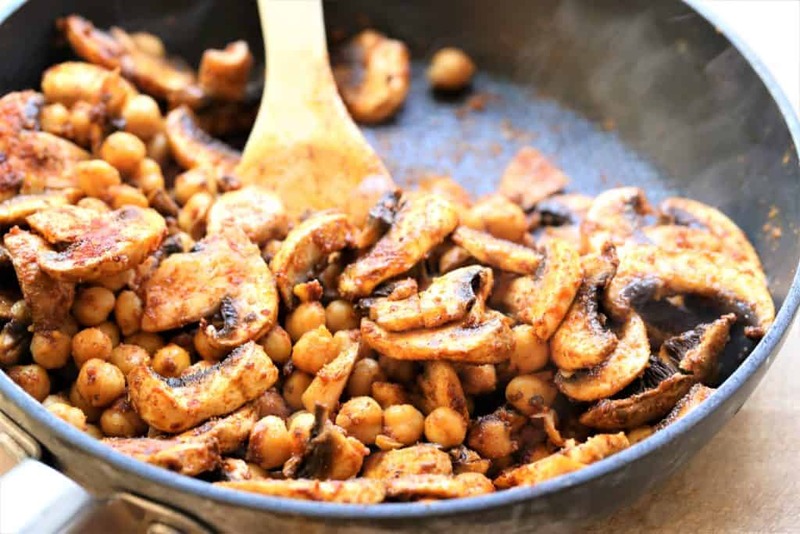 Stirfry chickpeas and mushrooms for 3 minutes, stirring frequently. Add fresh kale and rice and stir until all is heated. 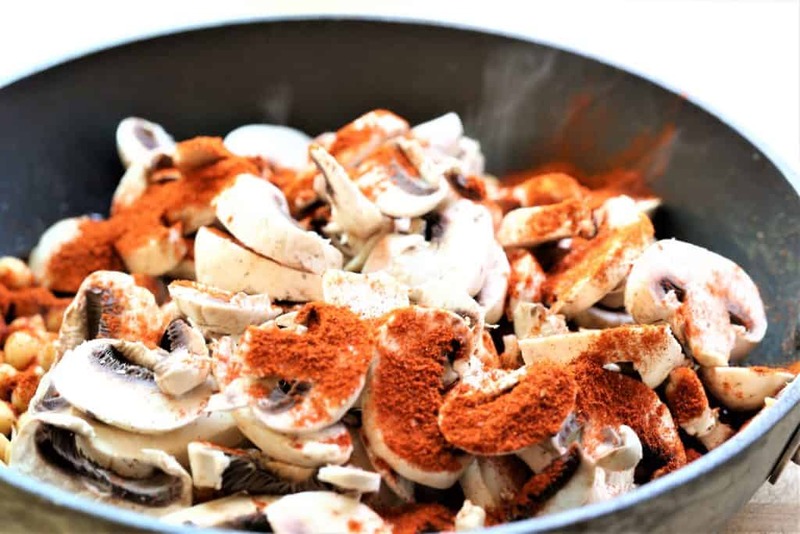 Sprinkle with red pepper flakes. Serve with large green salad. 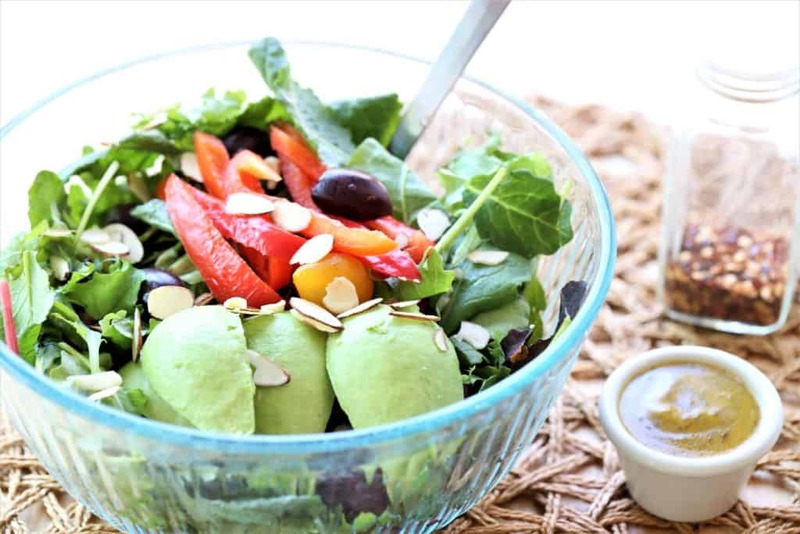 Mixed greens, baby kale, olives, cherry tomatoes, red pepper, sliced almonds, avocado.